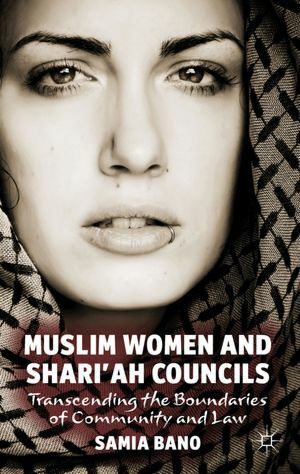 This month, Palgrave Macmillan will publish Muslim Women and Shari’ah Councils: Transcending the Boundaries of Community and Law by Samia Bano (University of Reading Law School, U.K.). The publisher’s description follows. Drawing upon original empirical data and critiquing existing research material this book challenges the language of community rights and claims for legal autonomy in matters of family law. It draws upon critiques of power, dialogue and positionality to explore how multiples spaces in law and community both empower and restrict women at different times and in different contexts. It also opens up the conceptual space in which we can see in evidence the multiple legal and social realities in operation, within the larger context of state law, liberal multiculturalism and the human rights discourse. In this way the book provides an important contribution to current debate on the use of privatized and ADR mechanisms in family law matters while analyzing the dynamics of relationality and cultural diversity in new forms of mediation practices. In a wider context it explores the conceptual challenges that the rise of a faith-based dispute resolution process poses to secular/liberal notions of law, human rights and gender equality.